Thanks @illusie ! I'm happy you like it. This is a comfortable 3-bedroom, 2-bath home for your growing family. TV, bookcase, computer and chess table included for skill building. 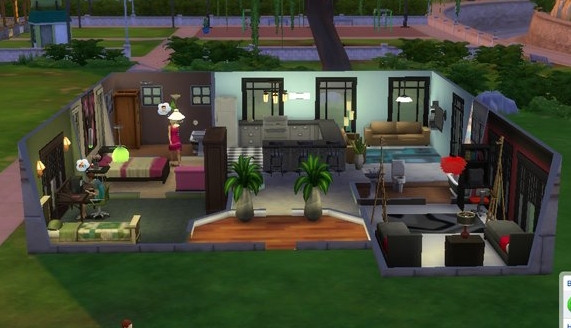 3BR Family Home is a very nice home for a sims household to enjoy living in! @Allears Very nice exterior of the home. 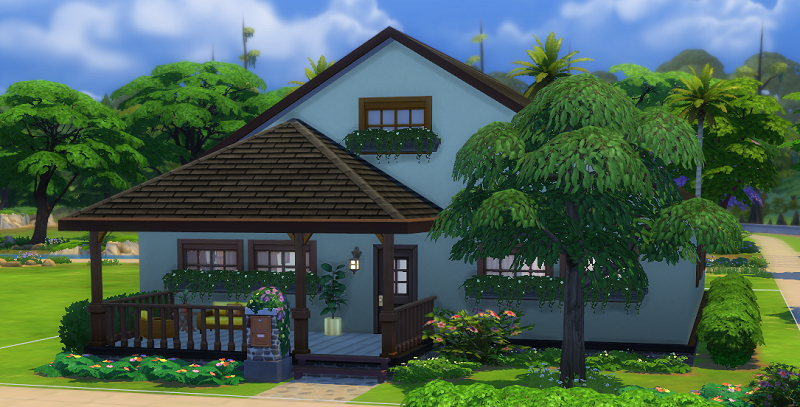 The flower box windows and flowers in the front garden look very pretty , and nice sitting area on the front porch for Sims to rest outdoors in the air. Sims will have fun playing chess on the back porch or enjoy cooking meals on the grill. Very nice layout and furnishing of the interior of the home! The orange and yellow colour scheme of the home looks very nice. Very nice sofa seats sitting area for Sims to enjoy chatting, reading books or watching tv together. The patterned floor rugs adds a nice look to the area.The plants are nice touches of nature. The hat and coat rack is a homely touch near the front door. Very nice kitchen nook! The stone wall gives a great warm home feel to the kitchen and bar stool dining area. The orange blinds used in the home look very nice. The yellow flowers on the dining table look cheerful and sunny! The fruit pictures are a nice touch on the dining area wall. Sims will enjoy sunshine coming in through the windows whilst they are enjoying sitting at the study desk table using the computer. Very nice design of the bedrooms . The fish look great on the master bedroom bedhead wall, and the circles floor print is a very nice touch in the kids bedroom. Kids will have fun playing with the dollhouse. Thanks so much @rosemow for your lovely review! Your words are very much appreciated! I get a bit conflicted doing 'affordable' housing and starter homes. Can I get a little feedback for when I build in this direction? Are the majority of folks who are looking for starter lots or affordable family housing expecting &/or needing basegame lots? 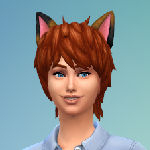 If I add Seasons, Get Together, Cats & Dogs, &/or Parenthood build/content items I have many additional & economical options - sometimes with more 'bang for the buck'. Does this make sense? Not sure if I worded it well, but I would love to hear some opinions on this matter. Thanks! Also, I usually try to choose 3-4 'relevant/useful' packs for the type of build &/or theme (skill or housing-wise). Is that helpful enough or in the case of affordable housing is it important to go to 1-2 packs (or as I said, just stick to basegame)? Is there a particular pack or two that more people tend to own that would be helpful in this type of build? (I guess I am asking, do we know what the 2-3 most-owned expansions&/or packs are? 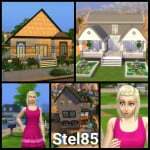 @SheriGR I'm pretty new to building and uploading Sims 4 homes to the gallery too, so I don't know how much weight my opinions carry but I'll tell you what I've found so far. 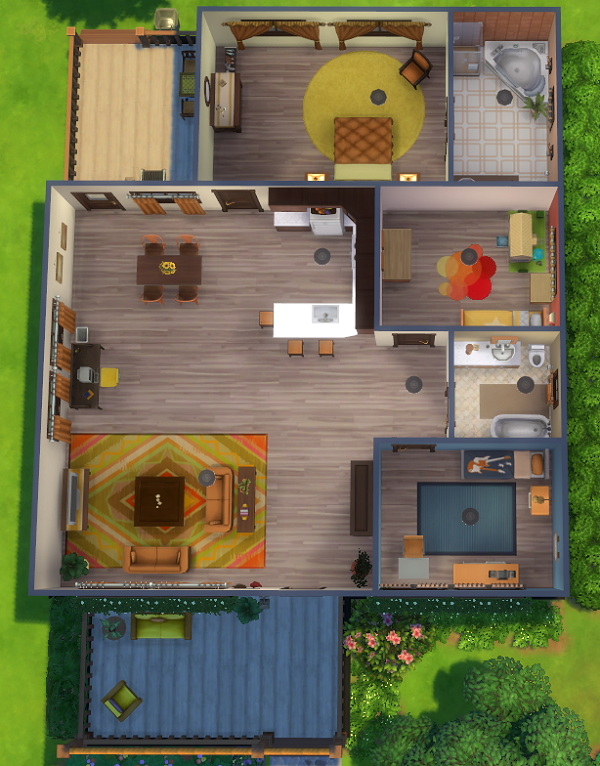 I went back and traced my top 20 most-downloaded homes and found this........... All 20 were basegame homes - 16 2-bedroom starters and 4 3-bedroom homes (2 starters and 2 family homes). My theory is that when you add packs to the mix, you're shrinking your player base. If you only add one pack, you're eliminating those people who don't have that pack installed. If you add 2 packs, you're eliminating those who don't have the first pack, plus those who don't have the second pack. And so on. 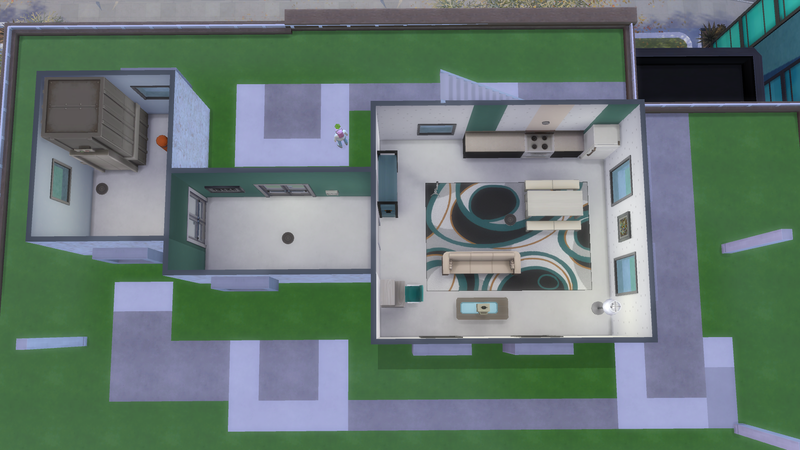 Having said that - it's really difficult sometimes to keep making new and different houses only using the same items over and over again, especially when you're trying to save money so you keep repeating the same few items. 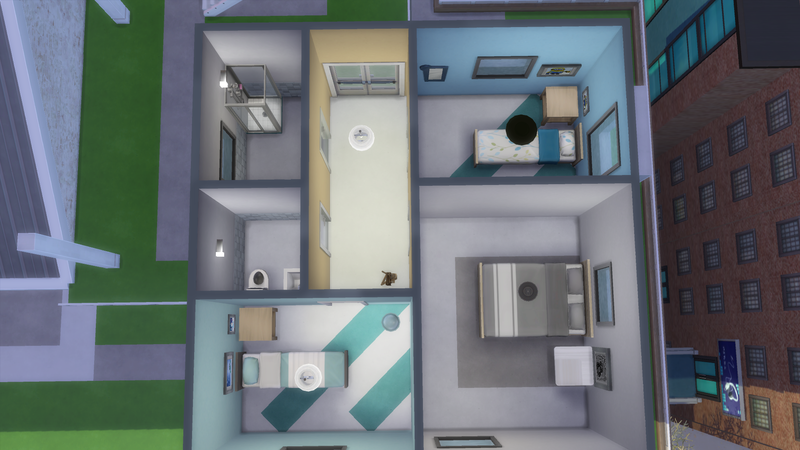 There's only so many different colors and floor plans you can use. 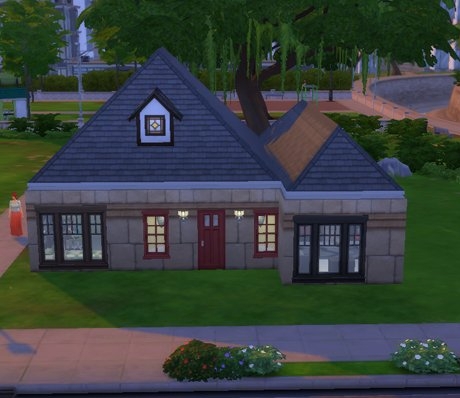 So, when I get bored, I make a house just the way I want, using items from any pack I have installed. 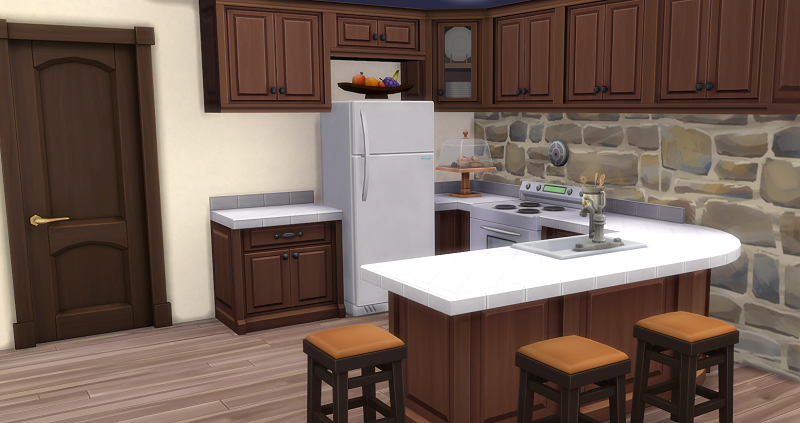 I put it on the gallery for anybody that wants it, but my satisfaction is just having fun making the house. As far as I know, there's no set rule of thumb as to what type of design you should make. My advice would be to design houses that will make you happy. @Allears Exactly. It's helpful to me to hear your opinion, which I think is very accurate. I have found that it seems somewhat random which builds will be more 'popular'/desired by more. For instance, the first starter I made $19,933 Starter Home used 5 packs. It has 181 downloads. I got a request on it for a basegame starter, so I made two different basegame starters, plus a basegame duplex, and one of the starters was a re-make of the first one and looks very similar but has more helpful 'stuff' and was very micromanaged to do so. It has 11 downloads. The 3rd starter has a larger layout and also more helpful items for starting out. It has 87 downloads. So... in that example it seems it is somewhat hard to tell what people really find useful, as the most practical of those three for a family starting out is the one with 11 downloads - and it is basegame! (Also, the basegame duplex didn't seem to be any more downloaded than things I build that are not basegame... so I didn't do any more that were just basegame, or at lease so far. Of course, as you stated so well @Allears each pack added will eliminate a group. And sometimes we can just build with what will be nice in the design/build theme. Even then I tend to try to not add every pack I own, for the reasons you stated. Anyway, I thought I would see if there was a preferred parameter for this challenge 'Affordable Family Housing', aside from the price range. Thank you so much for your feedback! It was very, very helpful to me. 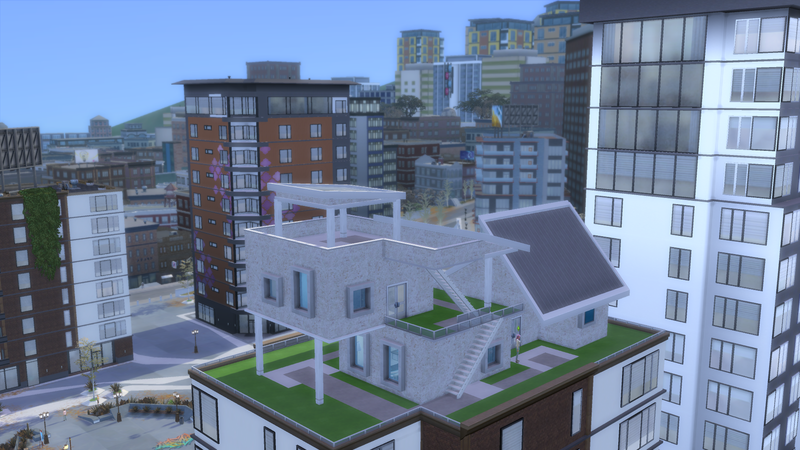 Penthouse Starter is very nice! @luckyheather Very nice design and layout of the build! 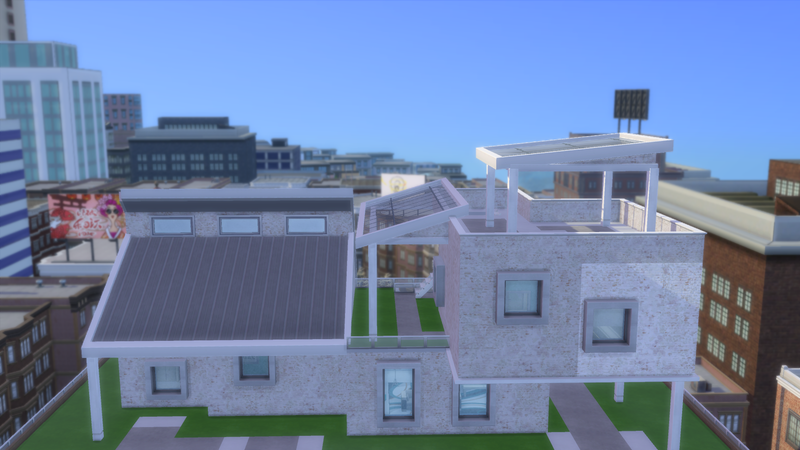 The roofing and different levels looks great! Very nice layout of the interior. The white and blue colour scheme is very nice. The floor patterning in the bedrooms and patterned floor rug in the open plan living, dining and kitchen area gives a great look to the rooms. 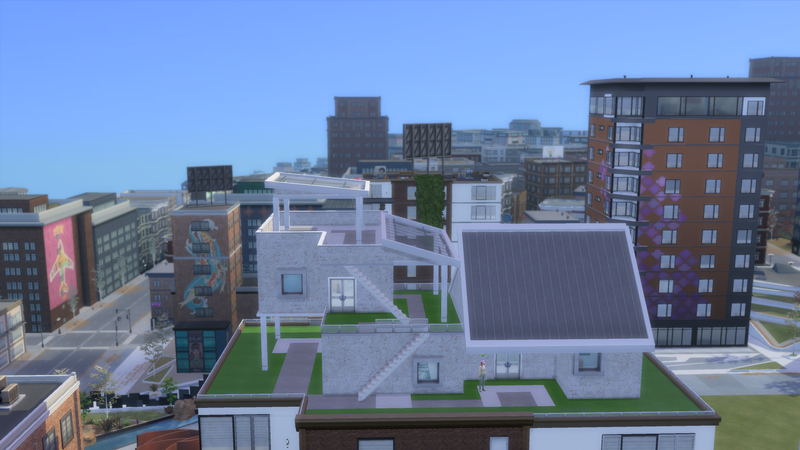 Thank you @rosemow I thought I had never seen a Penthouse starter so decided to create 1 Im glad you like the levels and roofing. @allears, 3BR Family Home looks lovely. Very spacious. @luckyheather, I love the penthouse. Great architecture. Thank you so much @illusie I'm glad you like it! 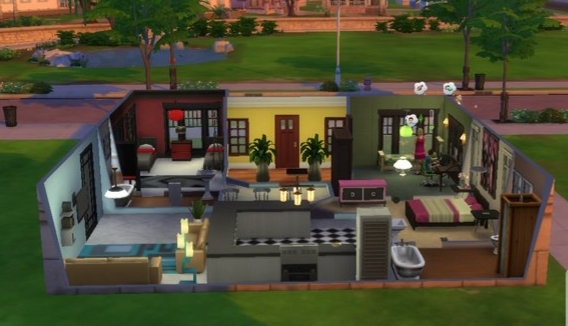 A nice starter for a family who needs 3 rooms, but 4 beds. Kitchen with a small space to eat, small living room area, 2 computers, TV, 2 easels,etc. I am still very new to building, but like the end result. To make the photos appear in the post, add .jpg to the end of the image addresses. Then, the picture button is the button with the little file picture on it above the forum post. Press the picture button above your post , paste the image address into the box, then press the enter button. Then the image address will be in your post ready to appear when posting your post. Another way to post the picture is to type [img][/img] in the post and put the image file address ( with .jpg added to the end of it) in between them. These link threads also explain how to post the pictures. 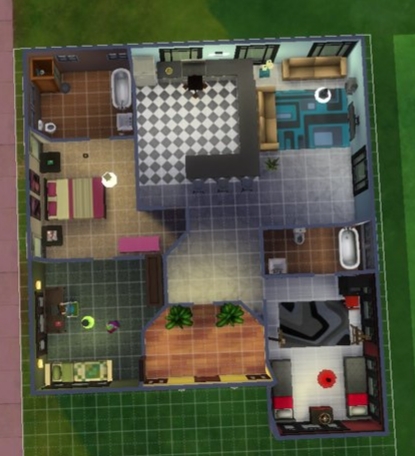 Affordable Starter is a very nice family home! @Christelle Very nice layout and furnishing of the interior of the home. The pink, green and red colour schemes of the bedrooms look very nice. Sims will enjoy painting on the easel in the red bedroom. Very nice kitchen. The black and white chequered flooring gives a great look to the room and the U shape of the counters looks great. Very nice sofa seats sitting area in the living room for Sims to relax and watch tv. The plants in the foyer area are nice touches of nature for Sims to see as they enter the home. Thank you @rosemow, I was just busy searching for a thread that explains how to upload images, you are awesome!! It is great that you were able to post the picture! @Crystelle The exterior design of Affordable Starter is very nice! 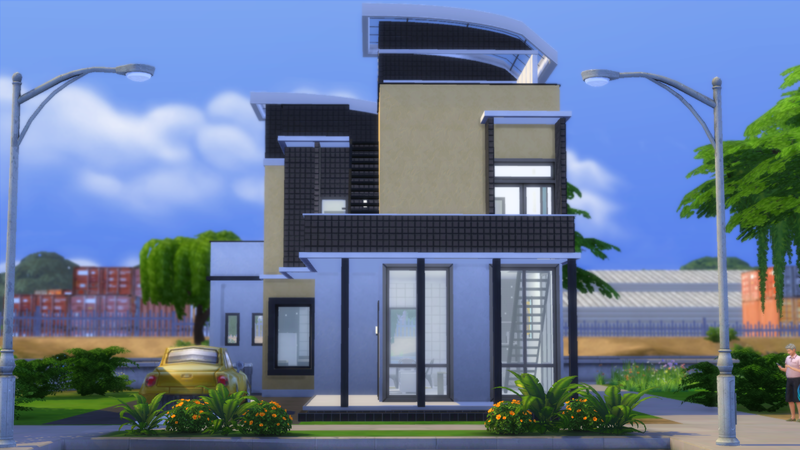 The exterior wall texture looks great. 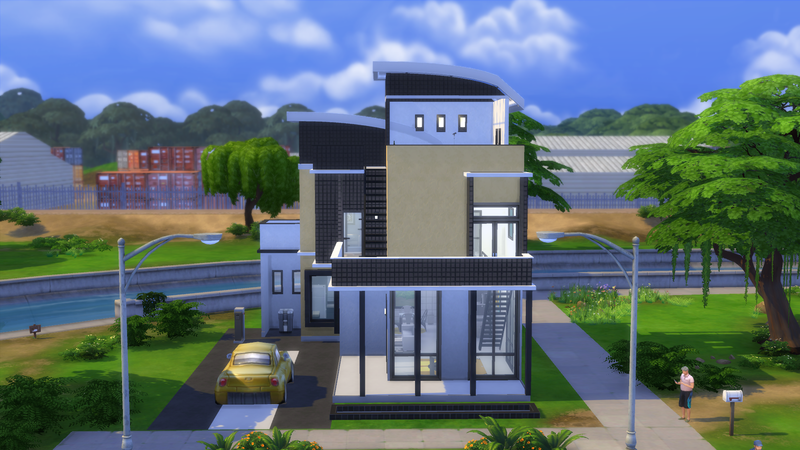 Getting Famous Starter is a very nice Modern home! @luckyheather The curved glass roofing looks great! Very nice rooftop bar level! Sims will enjoy sitting on the stools having a drink from the bar, and listening to other simmers singing into the microphone. Kids will enjoy being in the wading pool. Very nice furnishing and layout of the interior. The black, white and yellow colour scheme looks very stylish and nice! I have posted about your home on your showcase thread .